I use HTML5’s browser geo location to get the coordinates of where the visitor is located. 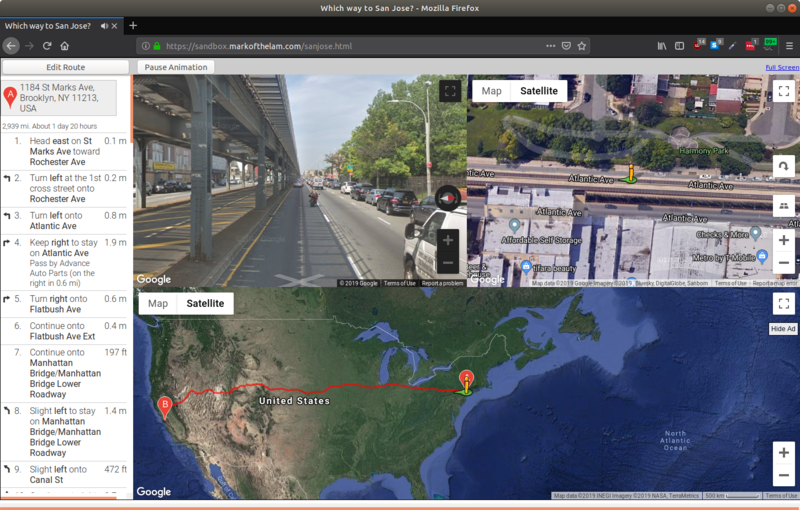 I use Google Maps API to do a reverse geolocation lookup to get the city name because the animated maps tool uses plain english to find routes. I use a hidden youtube embed to play the music. Unfortunately this doesn’t work on mobile. Sorry! Your location is looked up and google map directions and an animated map appears which you can travel to San Jose while “Do You Know the Way to San Jose” plays.